This has to be one of the weirdest Christmas days I have ever had. Weird, but very, very enjoyable. Because we were going away for Christmas we decided that we wouldn’t buy any presents for each other, so apart from getting each other cards that would be it. We didn’t take any presents with us and left any safely under the tree at home. 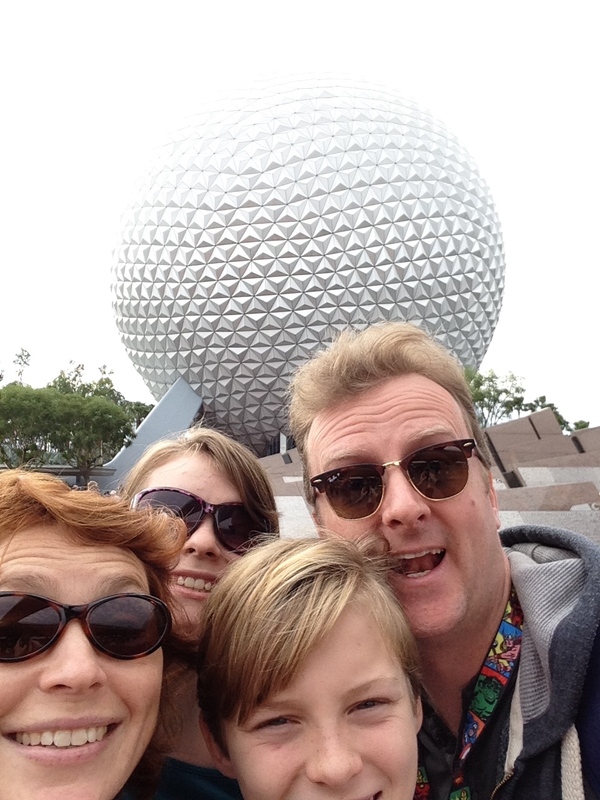 So today we spent the day at Disney’s Epcot, or the “Big Golf Ball” as we liked to call it. HAPPY CHRISTMAS!! We really should have party hats on. 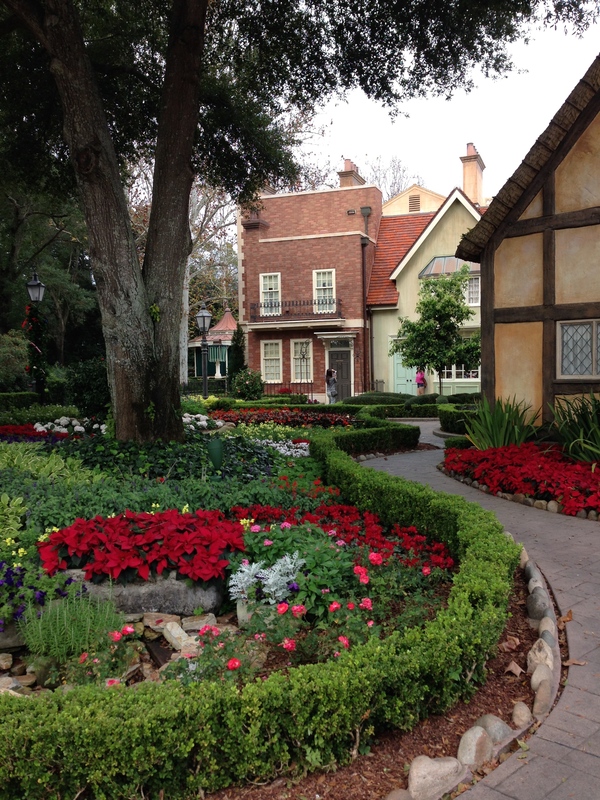 We started by going to the far end of the park to the World Showcase, which shows you various countries, in very stereotypical ways. In the English section there were quaint cottages, a red phone box and post box, a very small replica of Hampton Court Palace, that was actually the loos. They really should have called them “Lavatories”, but instead they called them “Restrooms”. Mark accused me on trying to confuse the Americans by insisting on calling them “Loos”, but you can’t teach an old dog new tricks. And cobbled streets and a perfect green area. None of these you would find where we live, but in various parts of England, yes you would. Loads of people were having their photo taken in the phone box and by the post box. We were asked if we wanted our photo taken by these, but we politely declined. We see them everyday!! There were 11 countries to explore which was great fun. They also had traditional food for each country available, so it was great to try new cuisines. The whole of England looks like this….apparently. After lunch Mark and the kids went on two very scary rides Mission Space, and Soarin. And off I went to Behind the Seeds, which allows you to go back stage in the park and see how they grow all the plants they need. 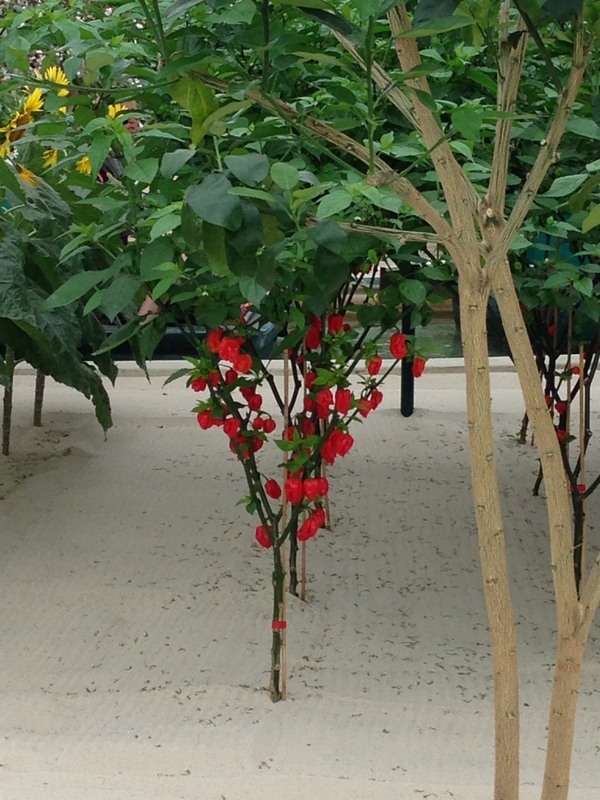 It was fascinating, and I’ve got a great idea for trying to grow some seeds using hydroponics. I’ll keep you updated with this when I do it. We were introduced to the hottest chilli pepper ever, which is called the “Carolina Reaper”. This is 100 times hotter than the Ghost Chilli. So I won’t be growing them any time soon. If you want to grow some, please, be my guest. We then finally met up again, and I had an appointment with someone just like me. Now it’s not just the kids that like to have their photos taken with their favourite characters, us grown ups do as well. This is not frowned upon at all, and when you have your photo taken with whoever you like, they talk to you and spend time with you. All the photos you take are free, and you’re not rushed through. 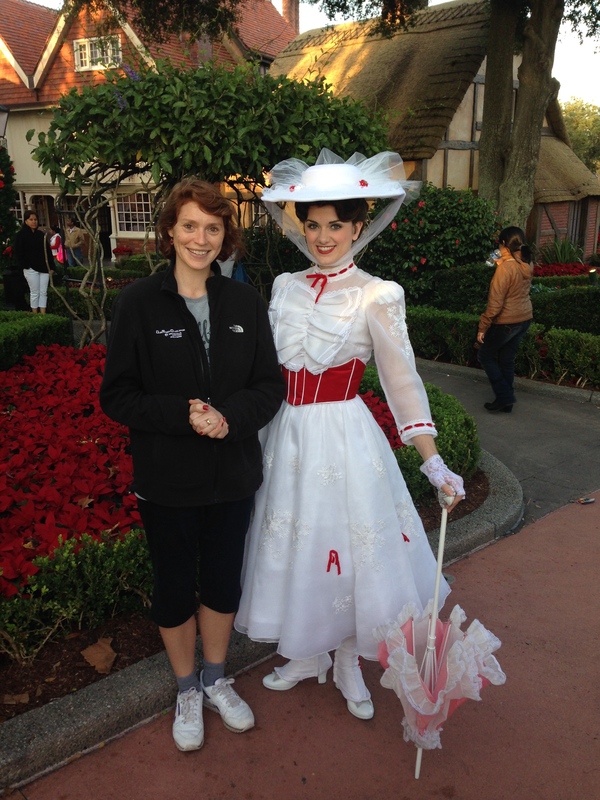 So we hurried back to the England area at Epcot, and I stood in line to have my picture taken with someone who’s practically perfect in every way. It was then time for our dinner reservations. We had booked at Tokyo Dining, as the kids insisted we had sushi. Now I’m not very good with chop sticks, so I had to opt for the knife and fork option. Still it was a lovely meal, very filling and we took home what we couldn’t eat, so we could have it another time. It was odd not to have turkey and all the trimmings, but lovely to not have to do any of the washing up. We had a gentle stroll back to the bus to take us back to our hotel. And then fell fast asleep. This entry was posted in Uncategorized and tagged Behind the Seeds, Carolina Reaper, Christmas Day, claire's allotment, Disney, Epcot, Ghost Chilli, Hampton Court Palace, hydroponics, Mary Poppins, Mission Space, Soarin, Tokyo Dining, World Showcase. Bookmark the permalink.